WARNING – Failure to follow the manufacturer’s instructions can result in death or serious injury. Only use this carrier with children weighing between 3kgs/ 8 pounds and 15 kgs/ 33 pounds. 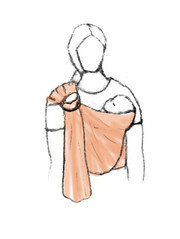 Check often to make sure that the infant’s face is uncovered above the fabric, visible, away from the caregiver’s body and free from obstruction at all times. Especially young babies within their first moths can suffocate in this product if their face is pressed tightly against your body. 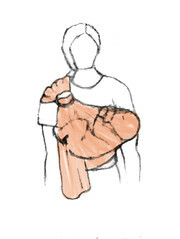 Make sure the baby does not curl into a position with the chin resting on or near the baby’s chest, like a “C” position. This position can interfere with breathing, even when nothing is covering nose or mouth. If you nurse your baby in the carrier, always reposition after feeding so the baby’s face is not pressed against your body. Never use this carrier with babies smaller than 8 pounds without seeking the advise of a health care professional. 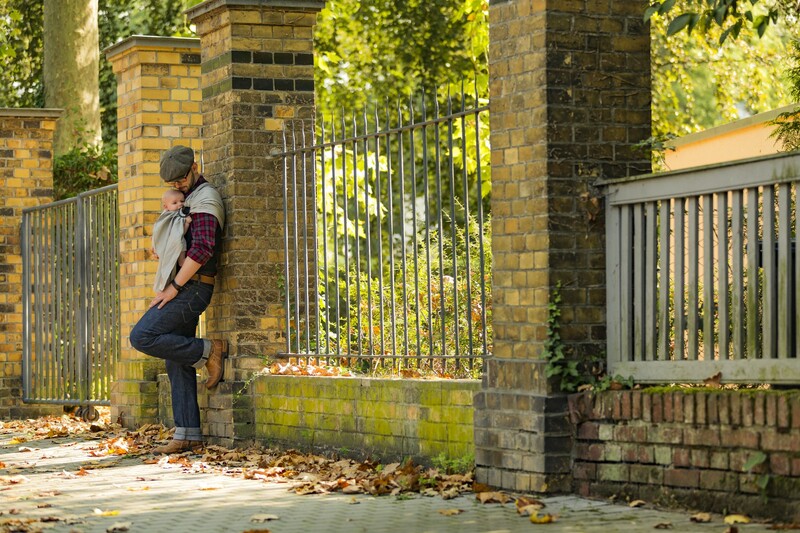 Leaning, bending over or tripping can cause baby to fall. Keep one hand on your baby while moving. Follow the manufacturer’s recommended weight range when using this carrier (Recommended 8-33 lbs), otherwise it can be dangerous for you and your baby. NEVER: use a carrier when standing under strong medical conditions, while exercising or while indisposition. 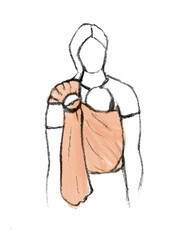 NEVER: place more than one baby in the ring sling carrier. NEVER: use a carrier while unsafe activities such as cooking and cleaning that involve a heat source, an exposure to chemicals or other sources of danger. 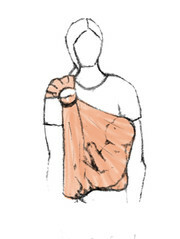 NEVER: use the Ring Sling carrier in a motor vehicle. Neither as a passenger, nor as the driver! This picture shows, that the baby is sitting too low in the carrier, and its face is pressed into the wearer’s body with nose and mouth obstructed. - The carrier shound hold the baby as if you would hold it in your arms. Your Baby should be high on your chest with its chin up, face visible, nose & mouth free.